Paper HeARTIST: April's Stamp of the Month..."My Sunshine"
The blog hop makes a circle so if you are starting here just continue until you make your way back and you will have made it through them all. If you have already started and are coming from Vicki Price's blog, "The Price of Paper", then you are on the right track. 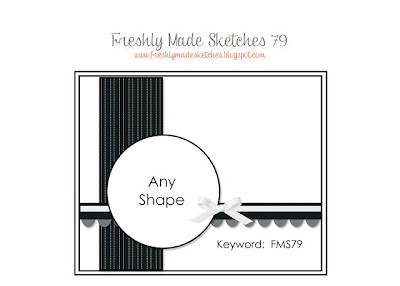 For my card, I was inspired by both the sketch challenge at Freshly Made Sketches. However, in all honesty, this stamp set is pretty inspirational on it's own. In fact, it's probably my favorite set of all the SOTM's offered in the Spring/Summer 2013 Close To My Heart idea book. I'm submitting this card to Catered Crop. ...and here's the sketch I used. 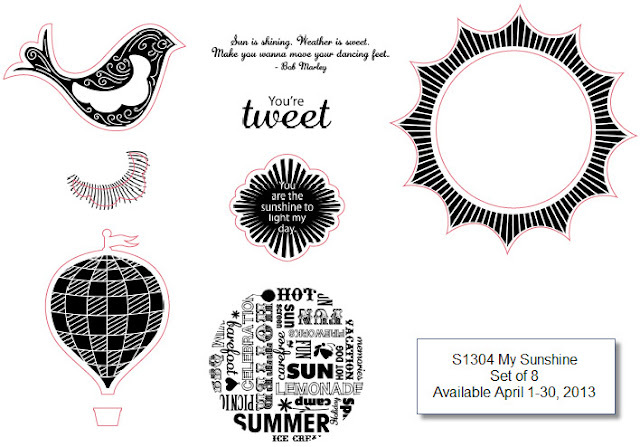 Remember, if you love what you've seen so far along your SOTM Blog Hop journey, and you want your own "My Sunshine" stamp set or want to get it for the amazingly low price of $5, be sure to contact your Close To My Heart Independent Consultant. If you don't already have a consultant, I'd love to be yours. You can find details on the "Stamp of the Month" by clicking on the "Promotions" tab at the top of the page or purchase your SOTM here. Of course, if you have any questions, please don't hesitate to contact me. If you have time, take a moment or two to check out the rest of my blog. If you enjoy your visit, then please consider "Following Me", signing up to receive blog updates, and/or leaving a comment (we all love comments...the nice ones anyway), then be sure to continue along on the hop by heading over to Sheila Bennett's blog, "Sheila's Stamping Stuff" and check out her project. Oh my gosh it's perfect as a shaker! Great card! Fabulous card! I hadn't even thought about making it a shaker! But it works perfectly! Great job! The colors are smashing! Well done! I love the clean card which is so colorful. Shake it up, baby! Tamytha, I totally love that you made this a shaker card! So fun! Love your take on the sketch this week. The twine is awesome and I love how you make a shaker out of the focal image! Thanks for joining us at Freshly Made Sketches! Love love love your shaker! I can hear it now! OMW OMW I was just saying the other day I wanted to make a card like this....super cute and adoranble card!!! 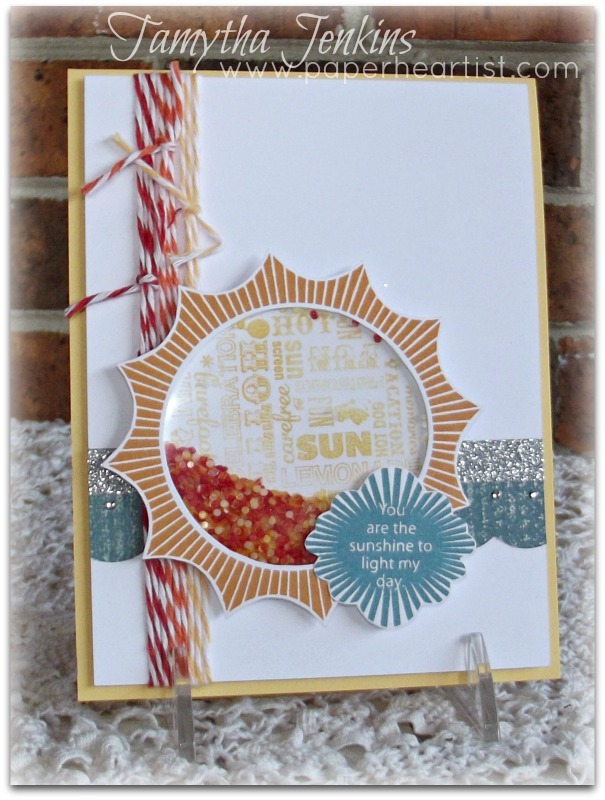 Love your shaker card and the bright cheerful twine addition. Reminds me of a summer drink with straws.